Well, here's something new - my new workplace has a bit of an informal fitness club, where colleagues gather twice a week to work out together. How scary is the advertising?! So yesterday evening I tried out my first insanity workout. It was a test session where you do each exercise for one minute and count the number of reps you do. The idea is that we repeat this session and improve our numbers. There was a lot of squatting type movements (hence why my thighs are sore) and some hideous press up/jumping type things which I couldn't do at all (I had to settle for on-my-knees-press-ups). Hmmm... It wasn't *too* terrible! 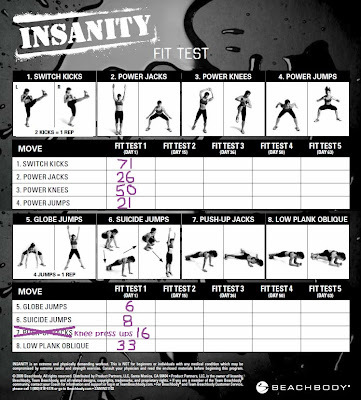 I've always wanted to try insanity but it scares me! 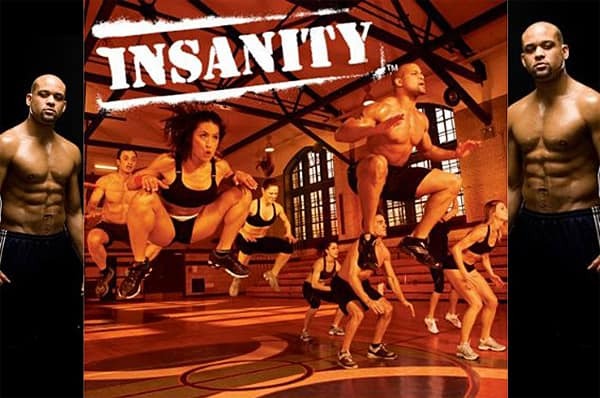 Youre doing insanity?! I know a lot of people who have and its madness!!! But v good for you! Whooo! I know this is very popular right now. Good for you. Doesn't everyone bake scones for breakfast?